Kent Murdock, chief photographer for the Courier Herald, is the main character in several of George Harmon Coxe's novels; but in this book, Kent is just too busy so his wife, Joyce, steps in and sets out to solve a mystery. Ward Allen is a good looking young man who is working for an investment firm which is headed by Dean Thorndike. Ward, however, has some things in his past in South America which he would like to be kept quiet. Ward is hoping to marry Delia Stewart who is an attractive young woman, and a rather distant relative of Dean Thorndike. She met Ward in Thorndike's office and is now desperately in love with Ward. Delia, Ward, and Joyce are having dinner out one evening when Perry Clark shows up at the restaurant. Clark and Ward had know each other in South America, and Joyce Murdock saw that Ward was angry enough with Clark over something in the past to want to kill him. Kent, Joyce, Delia, and Ward go to a party which has been given by Hestor Losado who was the first wife of Kent. She has certainly lost none of her charms since they got divorced. She has been married to Perry Clark, divorced him, and married Miguel Losado, a older man who was quite wealthy and has since died leaving Hestor quite a lot of money which is being managed by Dean Thorndike. Delia Stewart learns that Perry Clark has papers which Ward Allen wants very much to obtain. Hoping to get the papers for Ward, Delia goes to Clark's apartment. 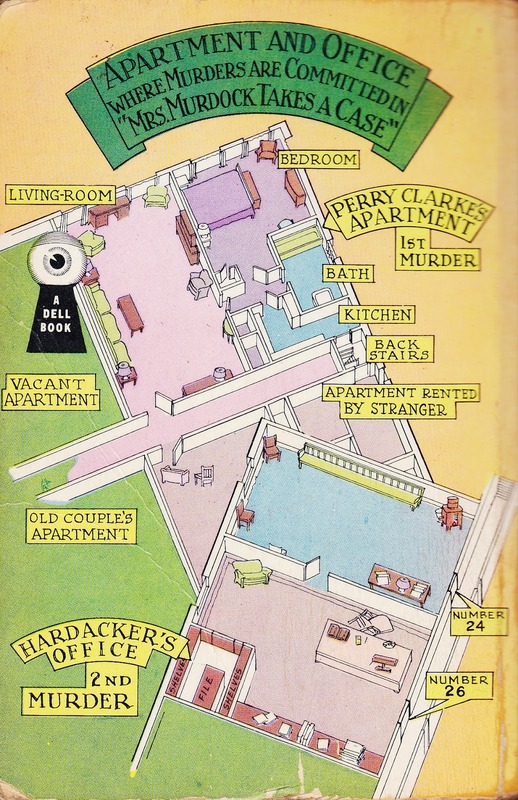 She steals the papers, but while she is hiding in another room, Clark is murdered by someone whom Delia does not see, but she fears that the murderer might to Ward. Panicked, Delia tells all to Joyce Murdock who decides to help her out. There are many twists and turns in this book. The reader is advised to keep an eye on who is where when, and who has what when. There will be another murder, and there will be added complications from Hestor's finances, and the political situation in the Caragua in South America. This book was published in 1941. It is out of print, but used copies are available. 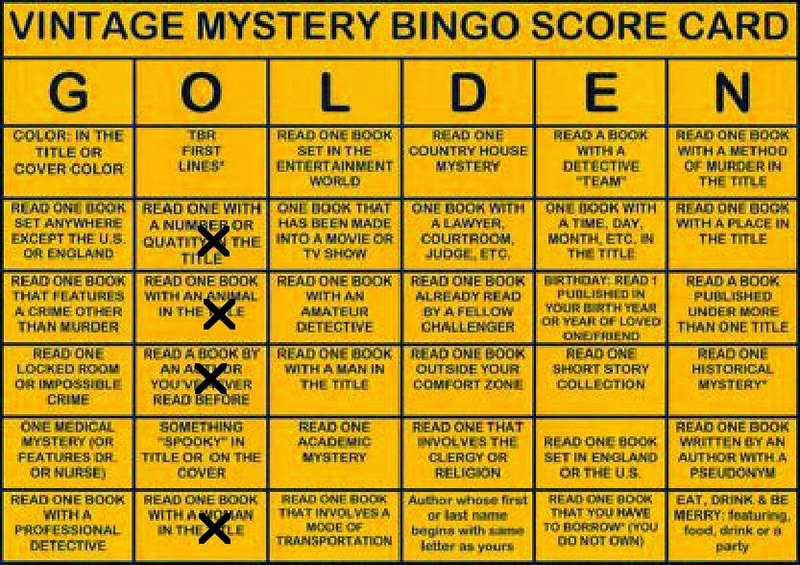 I have read this book for the Golden Mystery Bingo Challenge 2015 in the category of a book with a woman in the title. Readers of Golden Age mysteries may frequently say to themselves that things would proceed differently with today's technology of DNA analyses and cell phones. Once you have read the description in this book of the difficulty of making a photocopy in 1941, you may be quite grateful for modern copying machines. 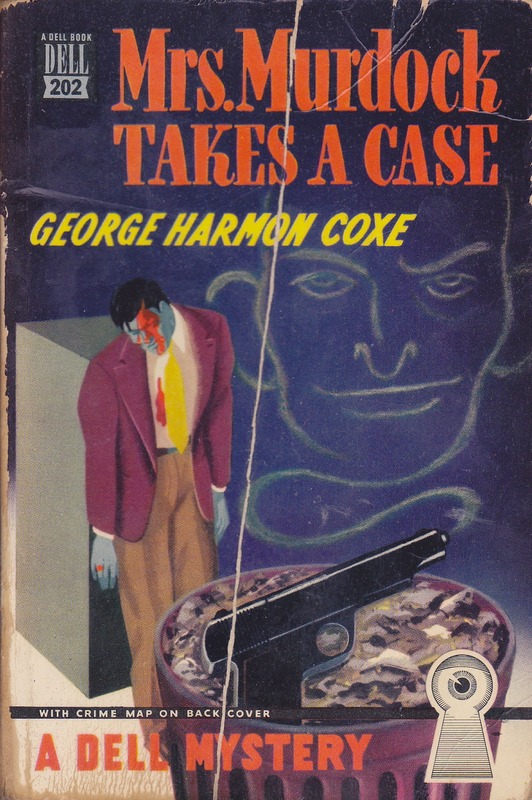 I just recently started reading Coxe (and have a few more on the TBR pile). I like that he's got Mrs. Murdock on the job this time round--I'll have to keep my eyes open for a copy of this one.